In a recent study appearing in Obesity Research, Sandra M. Hannum, M.S., R.D., a research dietitian at the University of Illinois, Urbana-Champaign, found that using #prepackaged meals was an uncomplicated method to help study participants lose weight. “The problem is that those who choose to eat out in restaurants on a regular basis are vulnerable to potential weight gain from the excessively large portions. Being served a large portion usually results in overeating because people tend to consume the amount of #food that is presented to them,” says Hannum. Because many people eat out for convenience reasons, packaged entrees provide a reasonable alternative to restaurant eating — preparation requires only a few minutes in a microwave oven, and the portions are controlled. This means you can scarf down the entire meal without any guilt. Not only that, but frozen meals can teach people appropriate serving sizes. 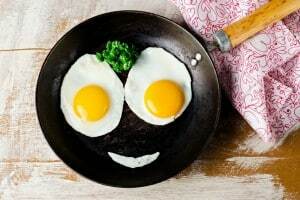 “When you’re familiar with the size of a 300-calorie entree, certainly the next time you go out to dinner, or even when you’re eating at home, you’ll have a better idea of how much you should be eating,” says Susan Bowerman, M.S., R.D., coordinator for the UCLA Center for Human Nutrition in Los Angeles, California. The beauty of this diet is that it’s not a diet. It’s simple — in fact, study participants were amazed that there were “no special diet foods, medications, or extreme measures required for success,” says Hannum. Grabbing foods from the supermarket freezer aisle is something anyone can do right now to lose weight. All you have to do is get off the couch and head to the supermarket. Just take an extra half-hour or so to check out the frozen food section. Your research will pay off in the end, and that half-hour will translate to saved time, calories and money. 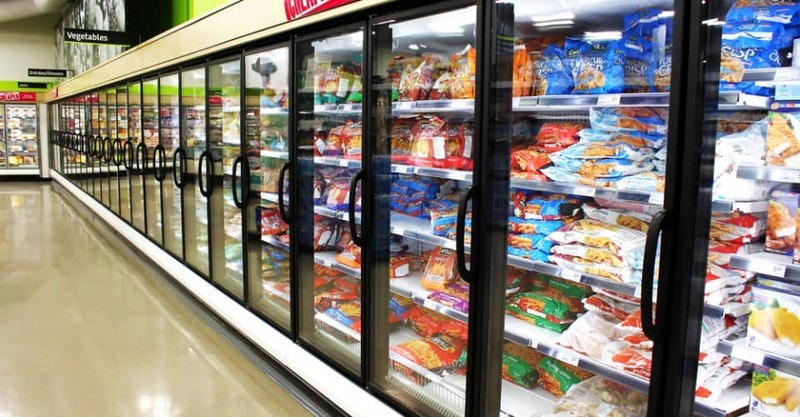 Many times, frozen foods are cheaper than the prepackaged foods offered by commercial programs (plus, they’re available at any grocery store). It’s more than worth the effort. My recommendation is to make an initial one-time investment of about $55 to taste-test 20 meals. Pick a variety of healthy entrees and dinners (e.g., Healthy Choice, Lean Cuisine, Smart Ones) that appeal to your tastes and provide a satisfying portion. If a frozen meal tastes great but you need three of them to fill you up and feel satisfied, it’s not the one for you. Think about it this way. If you were to get a cheeseburger, fries, and a soda at a fast food restaurant, that would add up to about 1,500 calories and take at least 15 minutes with travel, ordering, and waiting time. These healthy frozen entrees or dinners, on the other hand, are ready to eat in about four to eight minutes — without even leaving your house. Plus, with the calories you’ll save (on average, 300 calories or more per meal), if you simply substitute frozen dinners for five of your 21 meals, you could cut out at least 1,500 calories per week. Translation: You could lose 20 pounds in one year! You still have to check the label, even if it says healthy, lean or smart. But the word “healthy” is a clue — by federal law, any foods that say “healthy” (including the brand “Healthy Choice”) must contain less than three grams of fat per 100 grams, and no more than 30 percent of calories from fat. And sodium content can’t exceed 600 milligrams. Additionally, Smart Ones must conform to guidelines set forth by Weight Watchers — individual servings cannot be over 300 calories or nine grams of fat. “Keep in mind that many of these frozen dinners skimp on the vegetables, so it’s important to add a piece of fruit and a salad or frozen vegetables,” says Bowerman. She also recommends picking frozen dinners that have about 20 grams of protein per package to help keep you satisfied. Also, watch the sodium levels too, since frozen meals tend to be high in salt. Another tip: “It’s a good idea to serve them on a plate. The volume of food fills it up, making your portion appear larger, and as a result you will be more satisfied,” says Hannum. There is enough variety to please almost anyone. Healthy Choice now offers 76 selections including dinners and entrees; Smart Ones has about 55 entrees; and Lean Cuisine offers 88 dinners and entrees. And the low-carb line Life Choice features 14 varieties with no more than 15 grams of carbs per entree. How do these prepackaged meals compare to meal replacement drinks and shakes? With liquid formulas, the downside is the monotony of having the same (or very similar) products one or more times per day. “In addition, meal replacement products lack some of the benefits of a balanced diet of real foods, such as the nontraditional nutrients and phytochemicals that continually emerge as having #health benefits,” says Hannum. Also, when you drink liquids, you simply don’t get the satisfaction that comes from eating a real meal. And finally, prepackaged frozen supermarket meals offer great variety, which keeps you from getting bored. So how do these frozen entrees taste? Well, I went to the supermarket and purchased 20 low-calorie dinners and entrees. Right at the start I was impressed — the total cost was about $55 for all 20 (compared to a restaurant meal which could cost that much for two people!). Next came the tasting, and I expected to be underwhelmed, but again I was truly amazed. For about 200 to 350 calories, you get a great entree that really does satisfy your cravings.